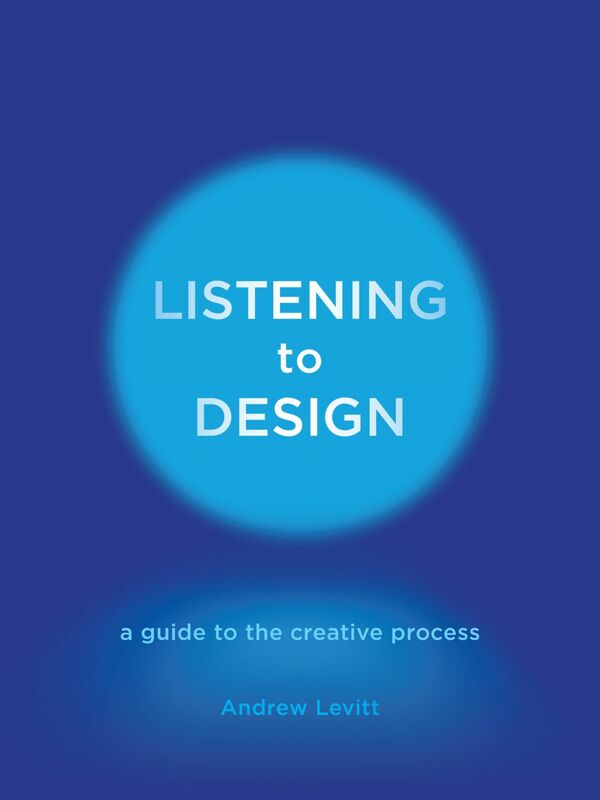 Listening to Design takes readers on a unique journey into the singular psychology of design. Drawing on his experience as a teacher, architect, and psychotherapist, Andrew Levitt breaks down the entire creative process, from the first moments an idea appears to the final presentation of a project. Combining telling anecdotes, practical advice, and personal insights, this book offers a rarely seen glimpse into the often turbulent creative process of a working designer. It highlights the importance of active listening, the essential role of empathy in solving problems and overcoming obstacles, and reveals how the act of designing is a vehicle for personal development and a profound opportunity for self-transformation. With clear, jargon-free, and inspirational prose, sections on “Storytelling and the Big Idea,” “Listening and Receiving,” “Getting Stuck,” “Empathy and Collaboration,” and “Presenting and Persuading” signal a larger shift in design toward staying true to creative instincts and learning to trust the surprising power and resilience of the creative process itself. This enlightening and timely book is essential reading for designers, architects, and readers working in all creative fields. "[One of] three new graphic design books to perfect your technique. . . . Levitt combines his background as an architecture professor and certified Jungian psychotherapist into a guidebook for those who want to create. From start to finish, the creative process is examined through a psychological lens, which will be sure to inspire new ideas and reduce stress. Levitt pays particular attention to the importance of active listening and approaching creative problems with empathy." "Most insightful and instructive are Levitt’s stories about students’ struggles and how Levitt, as their teacher, assists them in managing the challenges inherent in the creative process. . . . Levitt offers sound advice." "Birth is not a one-off occurrence. Life often requires us to be repeatedly reborn, particularly if we have strong creative impulses. Artistic creation is itself existential; an idea can pass through phases of gestation, nourishment and finally, birth. But an idea can also be abandoned, killed off. In his new book, Listening to Design, Levitt examines the profound psychological journey that often accompanies the design process. As an architect, teacher and psychotherapist, Levitt’s interests lie at the intersection between successful design and emotional development, a link perhaps not immediately obvious, but one that he convincingly argues is of critical importance. . . . Levitt’s book is recommended to anyone with an interest in the connections between creativity in design and psychology."